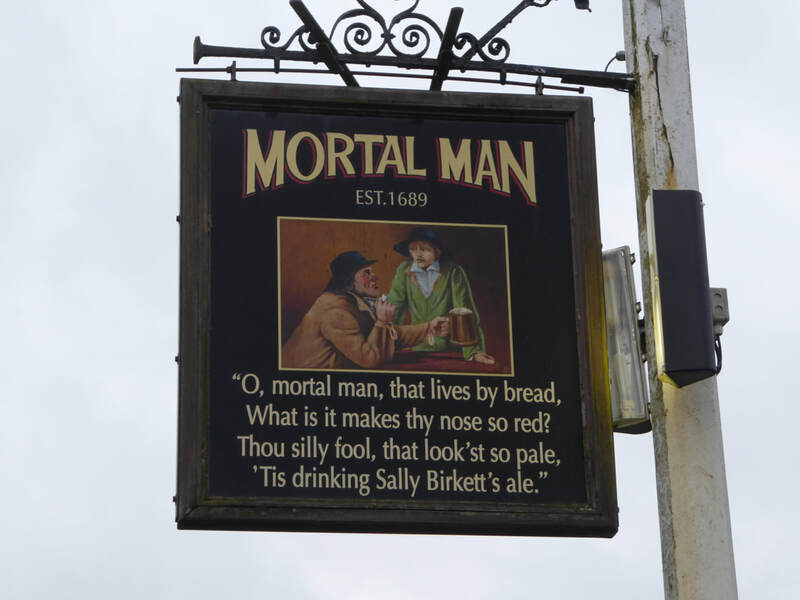 A mixed bag. From the start to Loadpot Hill the weather was overcast with sunny spells. 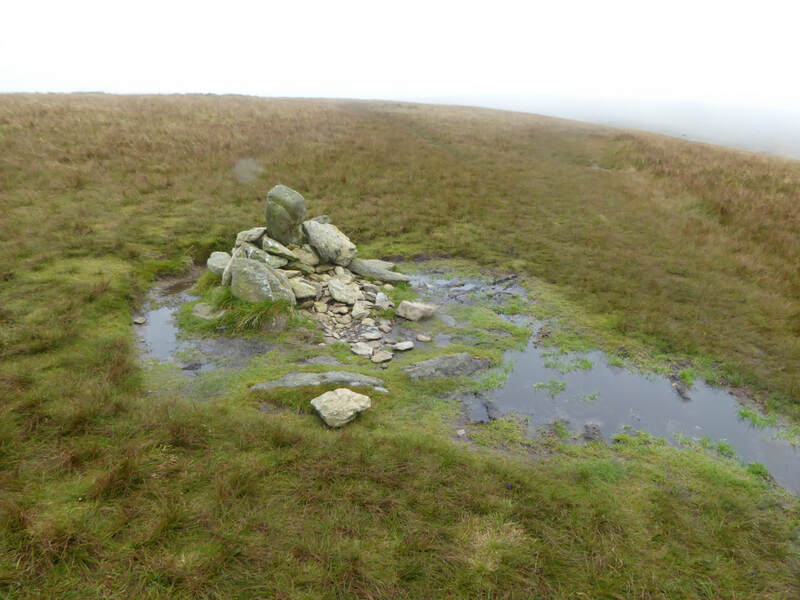 However from Loadpot Hill to the valley floor at Troutbeck the conditions deteriorated with low cloud and rainy spells. 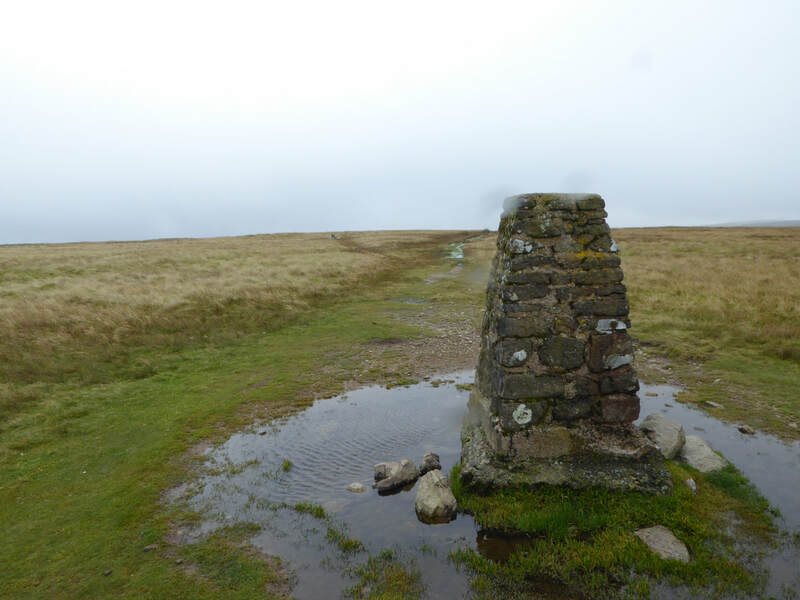 Today would see the longest day of the three walks that make up the challenge. 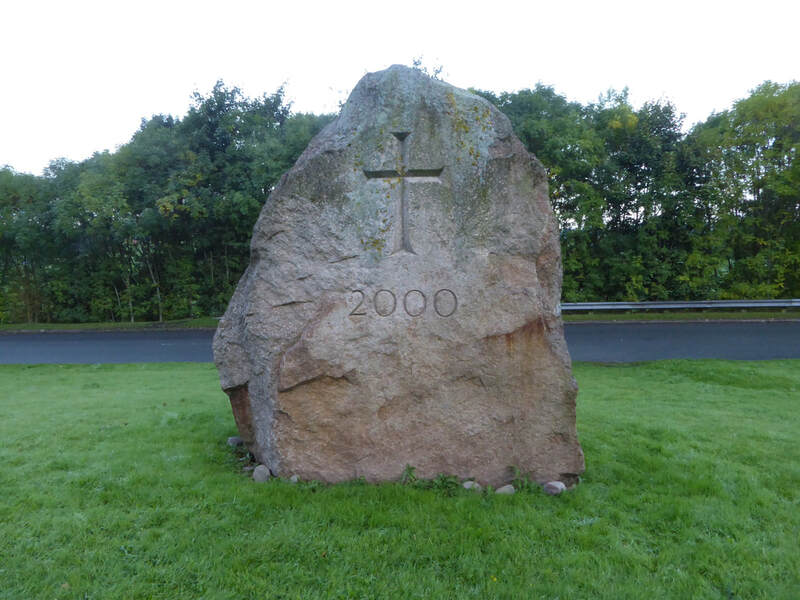 At nearly 27 miles it is a tough ask but is alleviated somewhat by the fact that the amount of ascent today was just under 2000 feet less than yesterday. 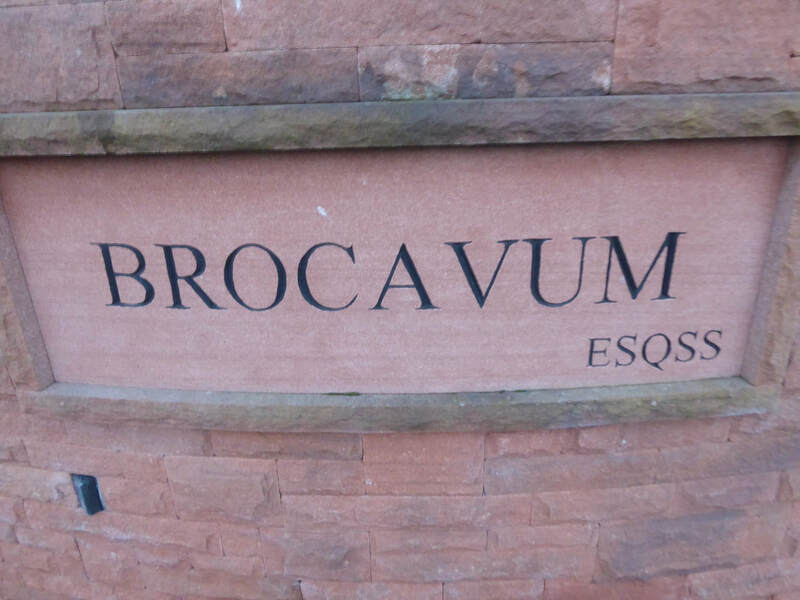 The walk today would link the two Roman Forts at Brovacum near Penrith and Galava at Ambleside and would follow the route of the Roman Road that was built to link the two forts - this road is more commonly known as High Street and the route also visits the fell of the same name. 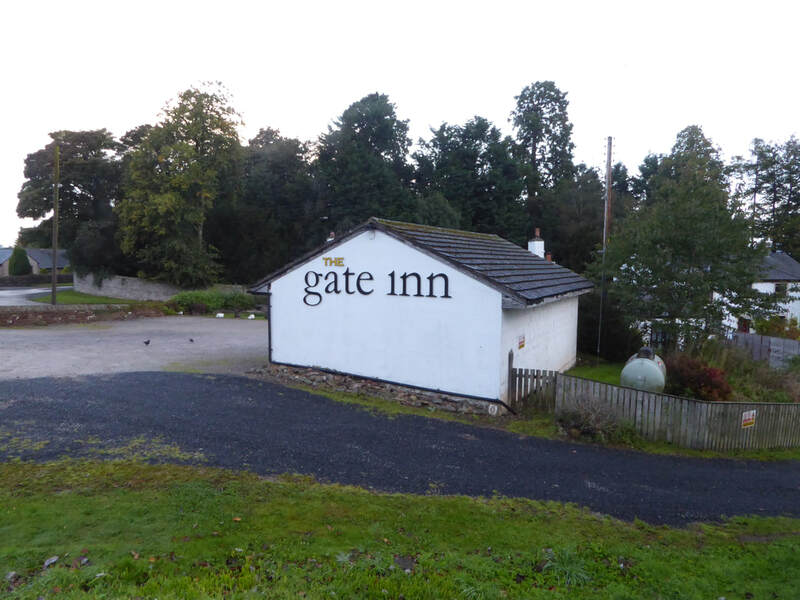 ​An early start again to drive over to Penrith for a 0700 start. 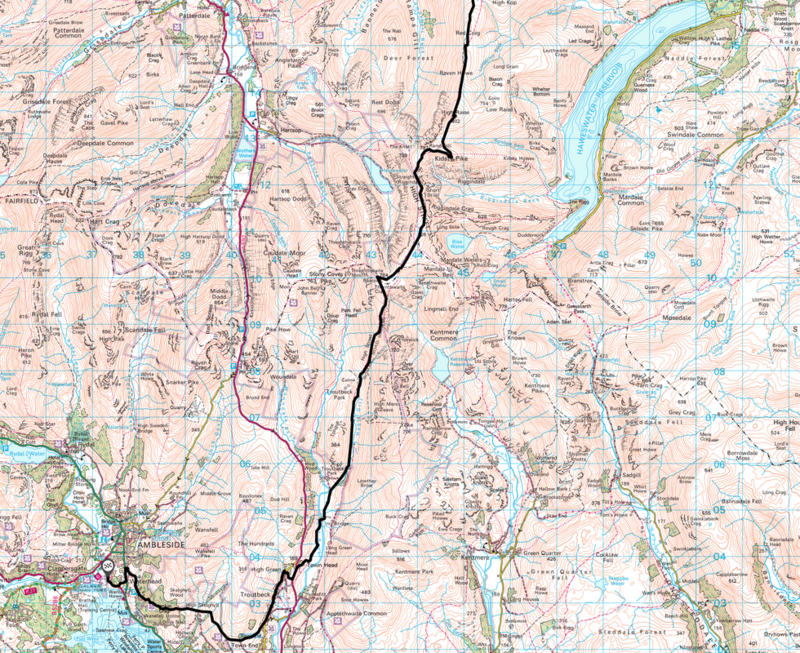 Just the 3 of us today (Phil, Tim & myself) as I was informed that Alan had made it to Threlkeld last night but would more than likely not be joining us today - however we hung on for 10 minutes in case he turned up. 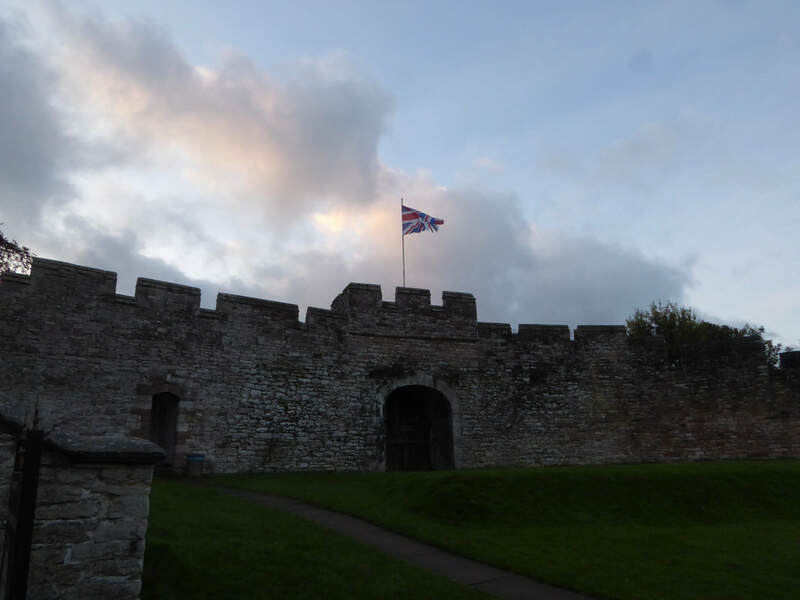 Leaving Brougham Castle the route would meander through the villages of Eamont Bridge, Yanwath & Tirril before reaching the open fell side near Heughscar Hill. 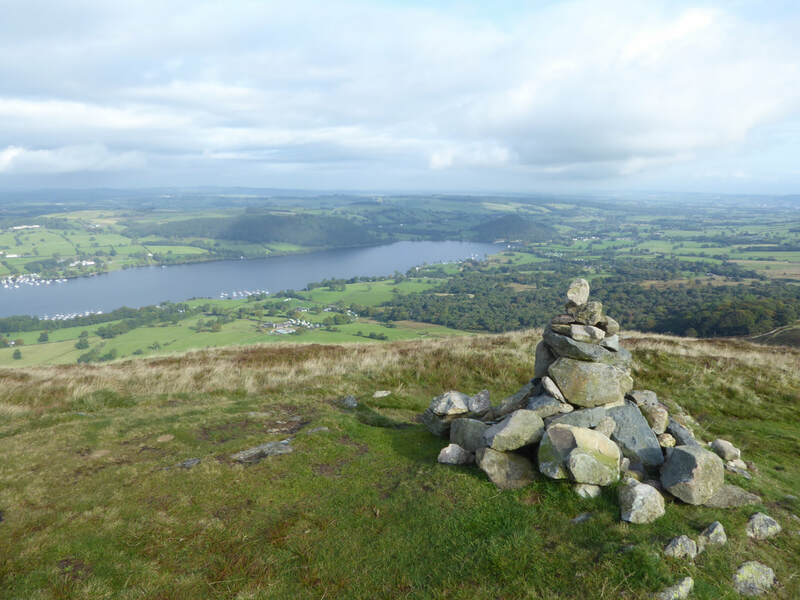 We were pleased to see the weather had improved markedly and we even had some sunny spells as we headed past The Cockpit and over Barton Fell to reach our first Wainwright of the day at Arthur's Pike. 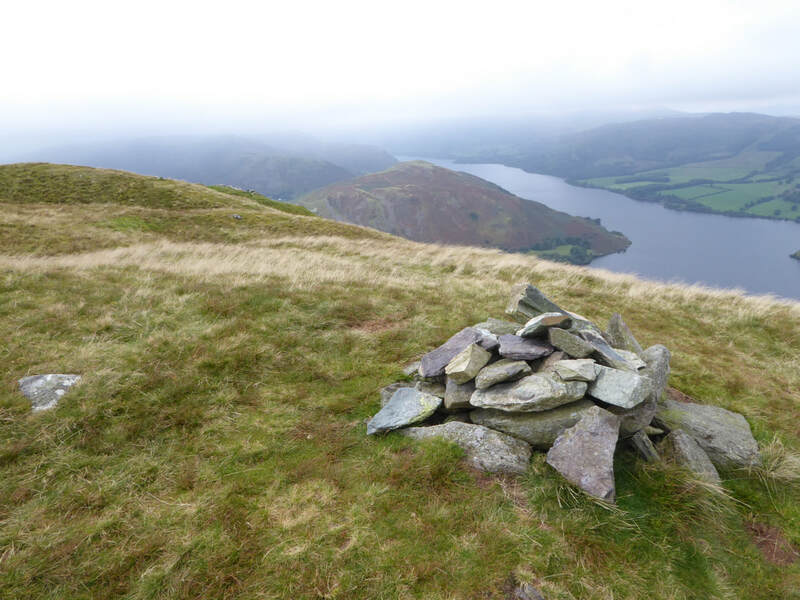 From this vantage point over Ullswater we made our way, firstly to Bonscale Pike with its two stone towers and then to Loadpot Hill from where our luck ran out with the weather - it turned from sunshine and mild to extremely windy with misty clag. 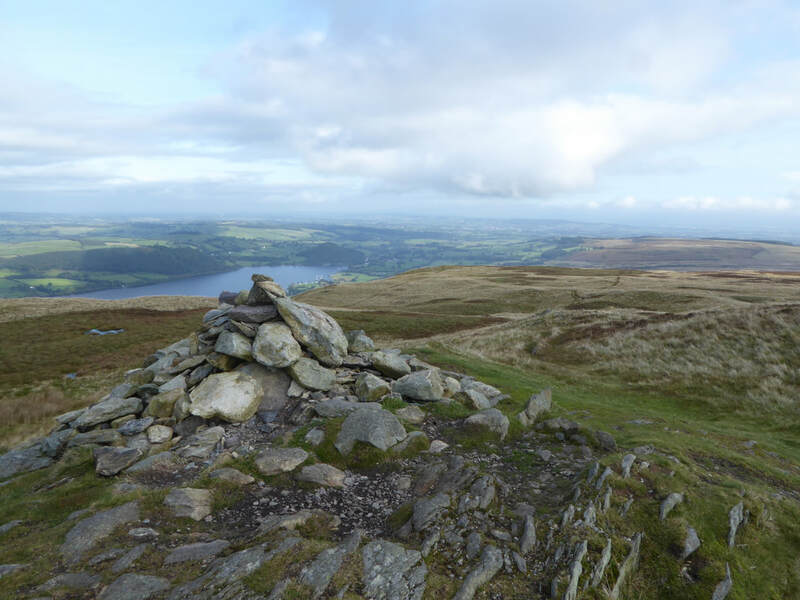 The path from Loadpot Hill is an easy one to follow and rises gently to reach the summit of Wether Hill and the unimpressive cairn that stands atop this rather ordinary fell. 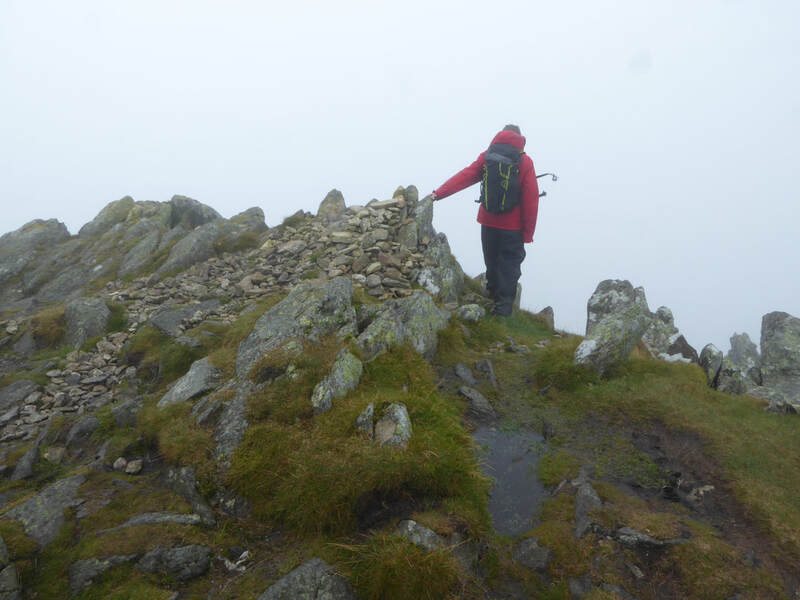 By now the visibility was down to about 20 metres and we made the long transit to High Raise in a murky thick, grey soup with a shedload of rain thrown in for good measure. 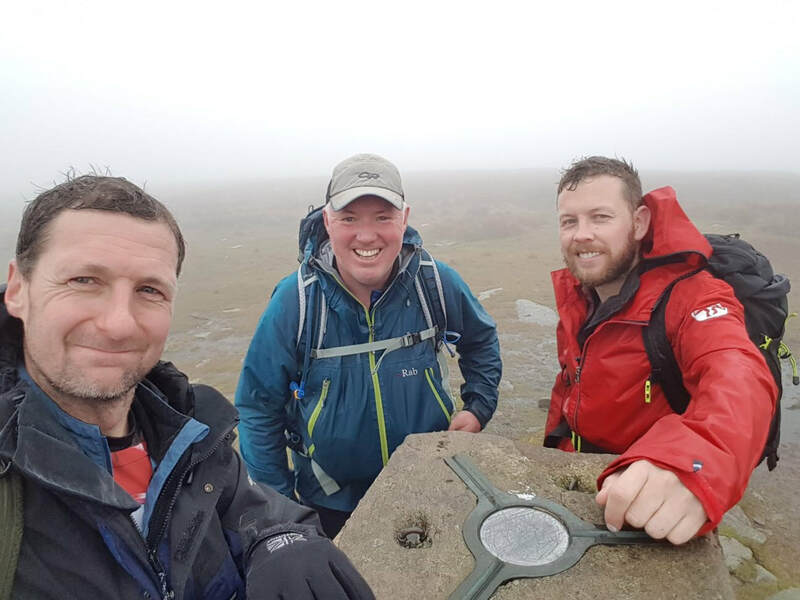 By this time we were about 16 miles in and feeling good despite the weather as we quickly ticked off the summits of Kidsty Pike and Rampsgill Head before heading down the Straits of Riggindale to climb up on to the summit plateau of High Street. 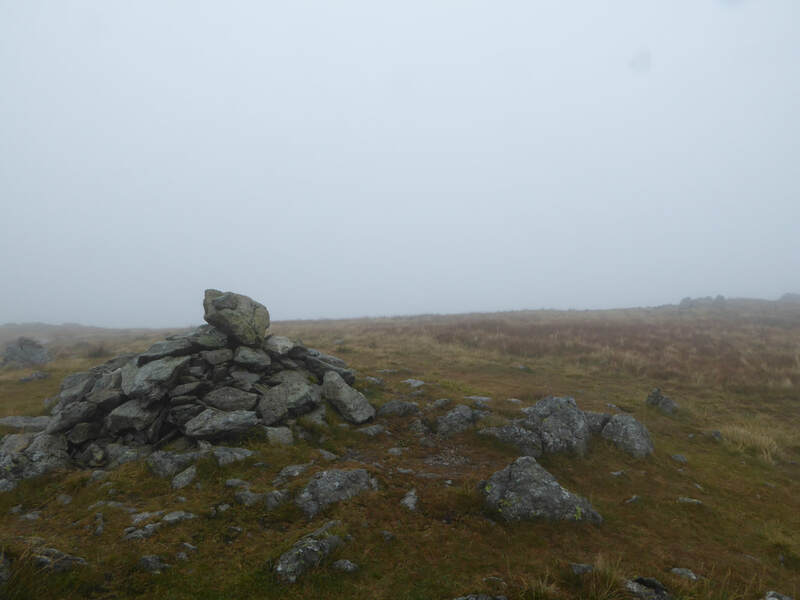 It was really miserable now and I explained to my walking companions what they would normally expect to see from this vantage point - we could hardly see each other never mind any sort of view. 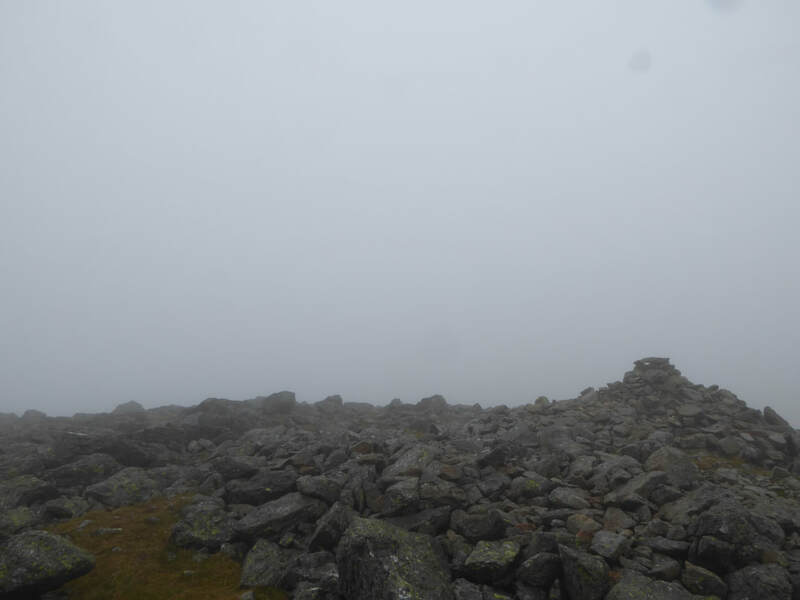 The visibility was very poor as we left High Street for Thornthwaite Crag and in normal course we would be able to see the large beacon that adorns the summit all the way along the path - today however we did not see the 8ft structure until we were virtually on top of it. 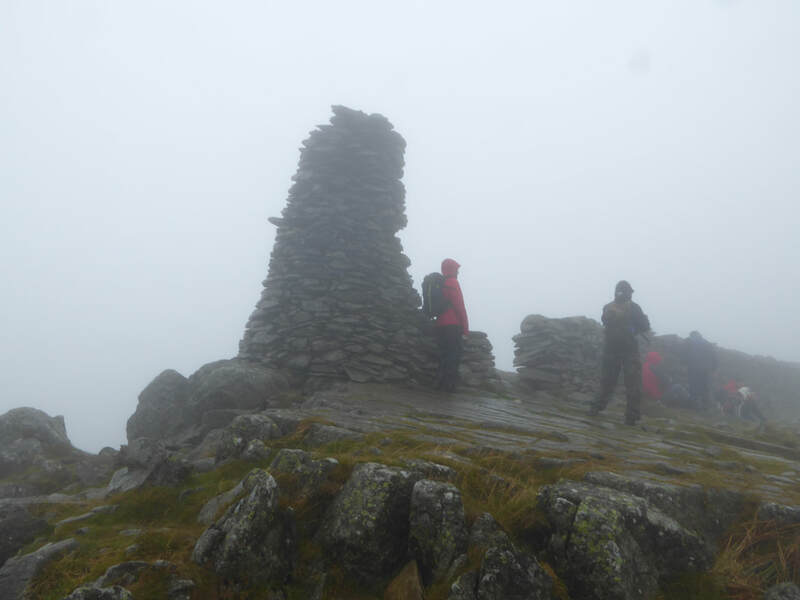 There was quite a crowd about on Thornthwaite Crag - sat around in the rain having snacks etc - we did not hang about and headed off on the path towards Froswick, keeping a sharp eye out for the path that branches off to the right over Park Fell which is really easy to miss. 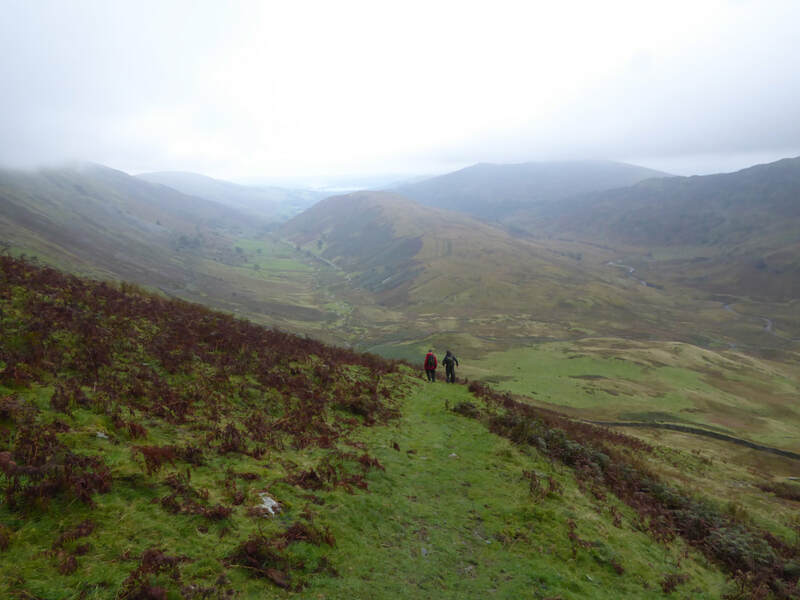 We found it ok and headed steeply down over rough terrain to the valley floor to make the transit along the eastern edge of Troutbeck Tongue. Reaching the bridge at Ing Lane we had a break and Tim informed Phil & I that his dogs were barking (feet issues) and that he would be knocking it on the head when we reached The Mortal Man - he thought by having a bit of damage limitation tonight he would be in a better place physically to walk tomorrow. 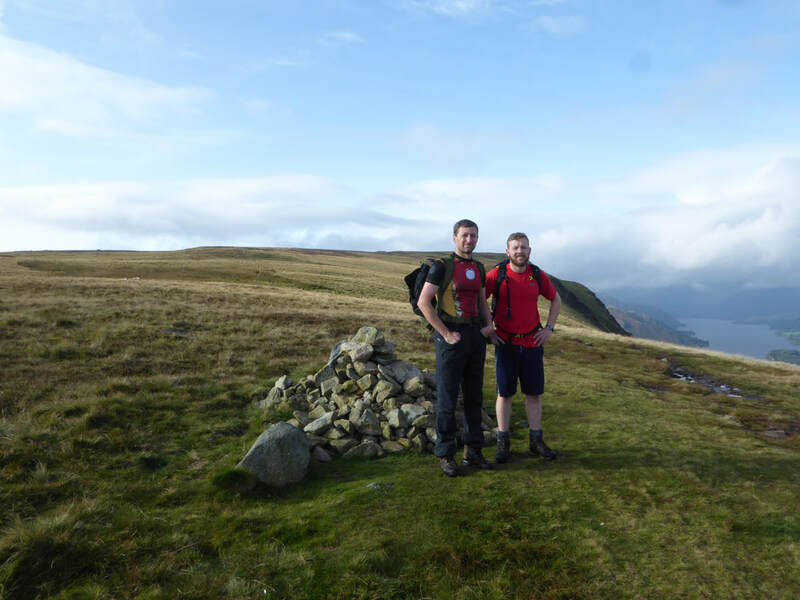 We therefore contacted Carl who met us at the pub and took Tim over to Ambleside. 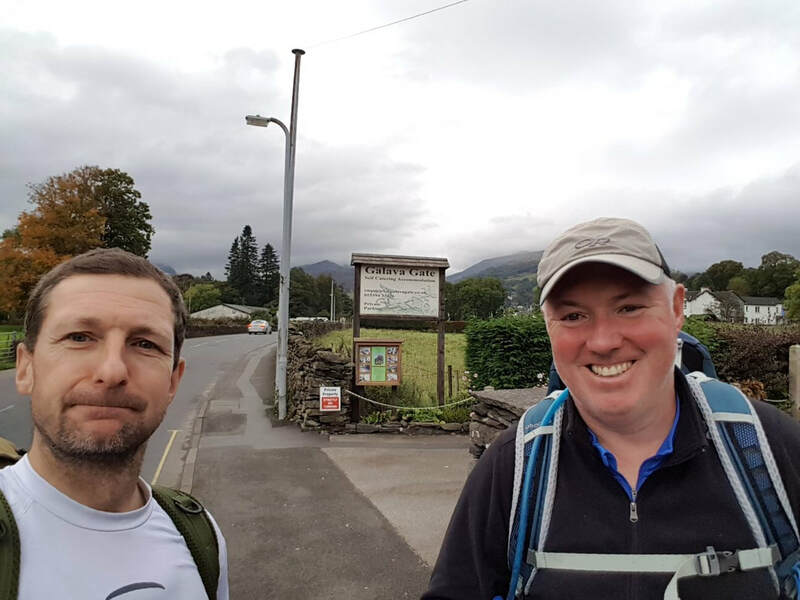 Phil and I walked into the village at Troutbeck knowing that we had basically cracked the days walking - we just had the long slog along Robin Lane to go. As we passed the Post Office in the village the proprietor jokingly asked us if we wanted a lift to Ambleside - we declined!! 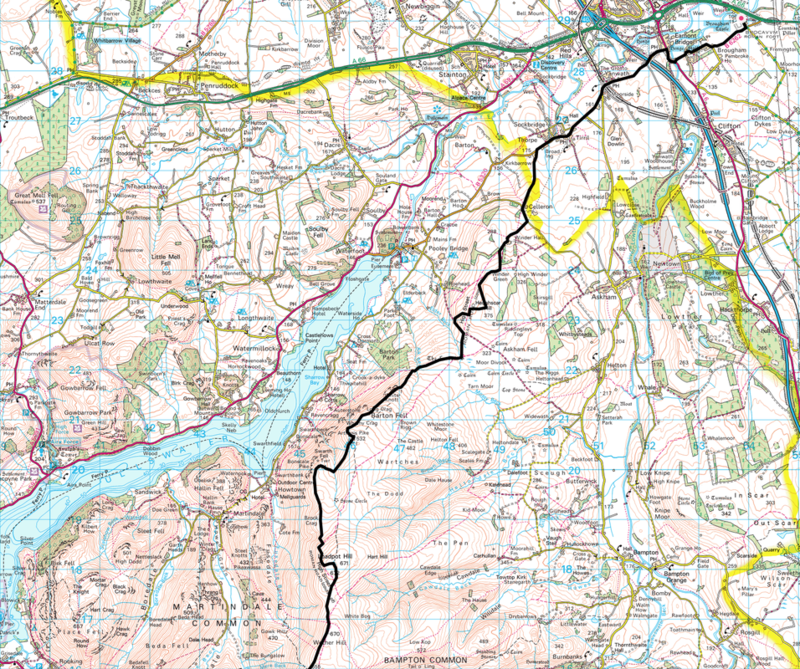 Despite the mileage today, both of us were feeling pretty good as we travelled along the minor undulations of Robin Lane to reach Skelghyll Wood where we took our time on the steep descent over the slippery & tree root ridden surface. The outskirts of Ambleside were now here and we popped out on the A591 and made our way to Galava and the end of todays marathon (literally) - all that was left to do was have a quick photo at the Roman Fort and then head off for food and beer at The Wateredge Inn where Carl, Tim, Angie & Fudge were waiting. 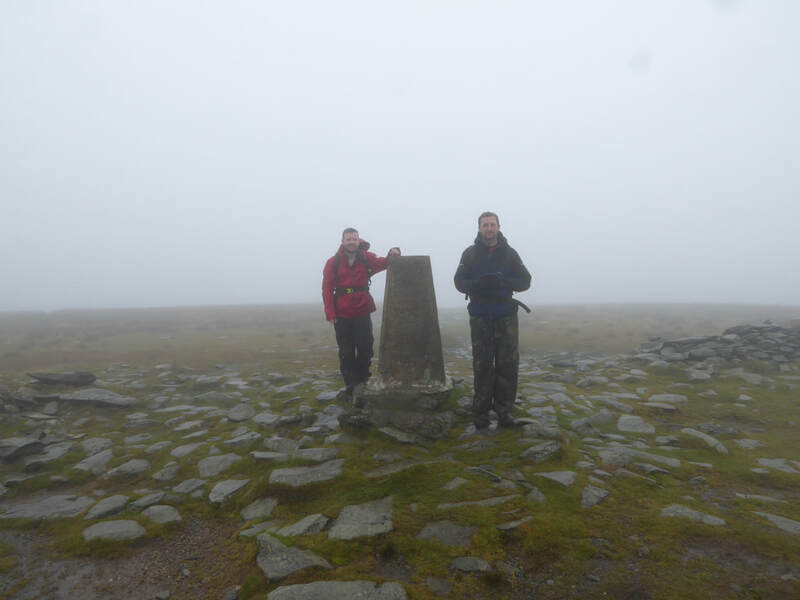 In summary, an extremely hard but very enjoyable walk in tough conditions for the most part. 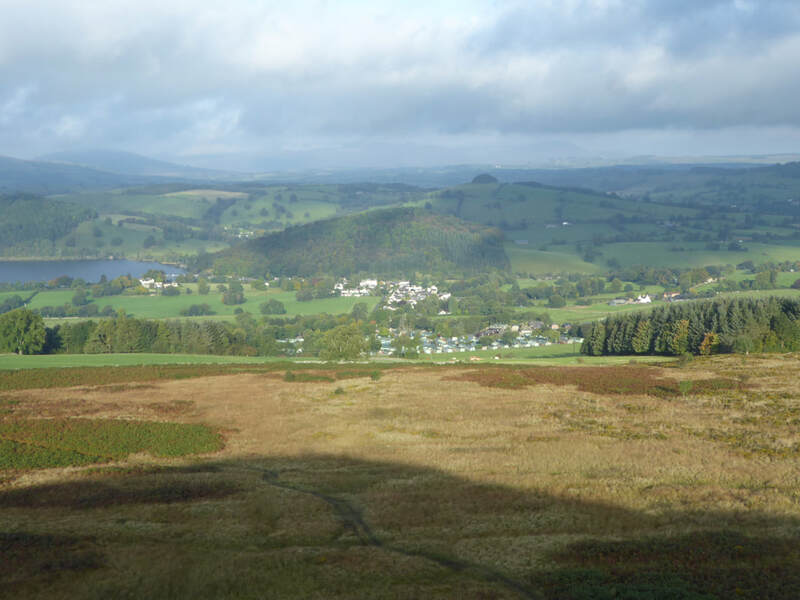 Looking down to Pooley Bridge - was the weather about to improve? We would see.